General Pediatrics is the branch of medicine that provides treatments and medical care for infants and children. Our pediatricians are experienced and highly trained to provide our young patients with comprehensive care. Our team of qualified pediatricians provides services in three sections which include pediatric clinics, inpatient services and emergency services. Our General Pediatrics services are available across all Columbia Asia Hospitals in Malaysia. Newborn care - All children born at Columbia Asia Hospitals are seen by the Pediatrician after delivery. We have fully-equipped delivery rooms to care for the new-born. Special Care Nursery - For neonates who are deemed unwell, the hospital has an equipped Special Care Nursery with trained staff who manages neonatal problems including neonatal jaundice, respiratory distress and other complex problems of the newborn. Emergencies in older children like bronchial asthma, diarrhea and vomiting with dehydration, allergic reactions and fits. 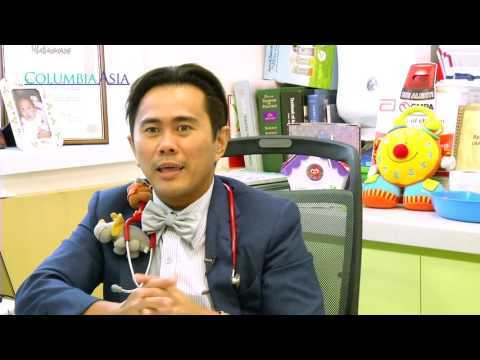 Dr. Khairul Zaman Omar, Consultant Paediatrician advises on what to pay attention or look out for if a child has leukemia.